​Reading for pleasure unlocks the power of information and imagination. Our Scholastic Book Fair is brought to you by your D103 PTO. It is a reading event that brings the books kids want to read right into our school. It’s a wonderful selection of engaging and affordable books for every reading level. 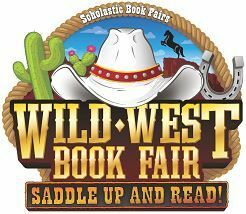 We can show you the hundreds of titles to choose from in our Book Fair. In addition, we will also have a selection of books for adults and gifts for children. You can also check out your teacher’s Classroom Wish List – a list of books that your teacher would like to have added to the classroom library for your students to read and enjoy. Remember, all purchases benefit YOUR kids through the various PTO programs.